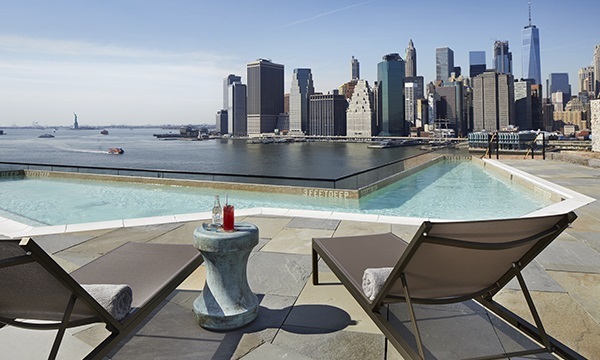 Swim in luxurious rooftop pools at hotels with a mighty view of the NYC skyline. Sounds like a dream right? 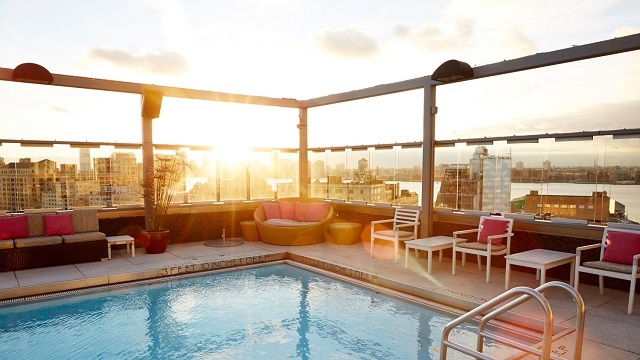 And there is a couple of really nice rooftop pools in New York to choose from. 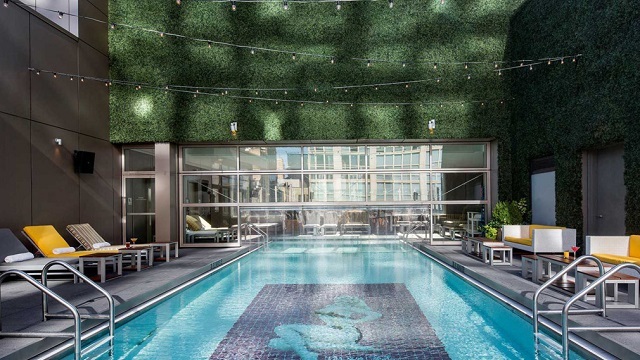 The perfect way to combine a big city weekend with some sun and swimming is to visit a cool rooftop pool. 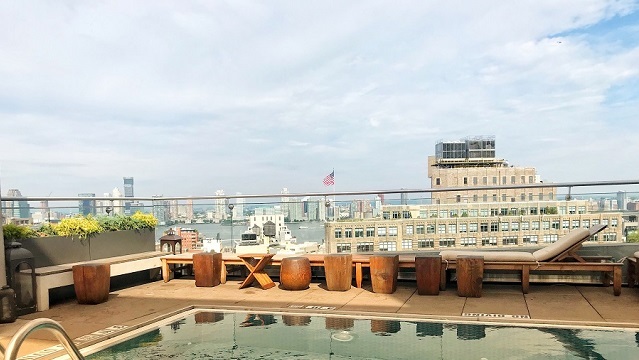 If you are looking for drinks and food with a view in NYC, you should check out the best New York rooftop bars and NYC rooftop restaurants. 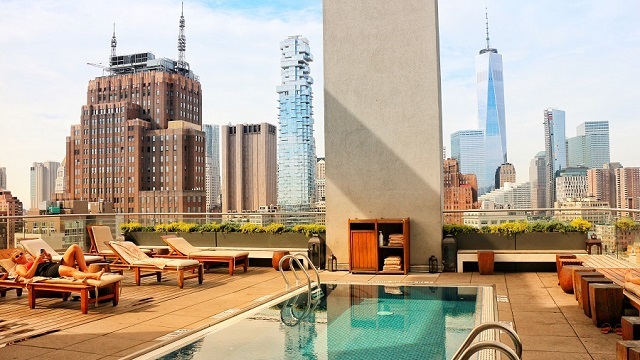 But here’s our list of the 5 best rooftop pools at hotels in NYC. 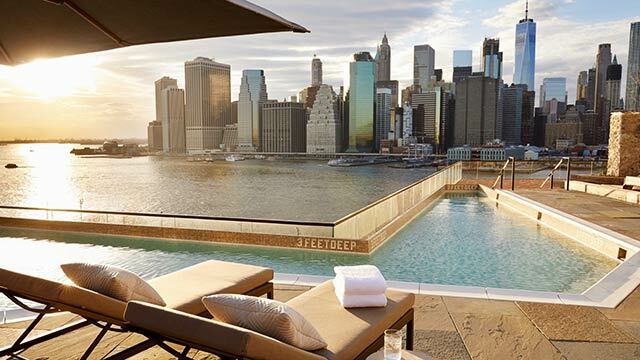 Maybe the best rooftop pool in all of New York. 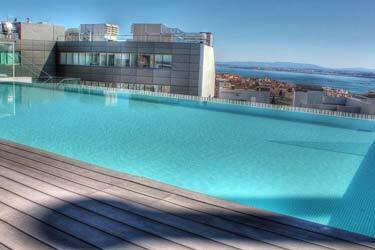 The swimming pool in itself is nothing out of the ordinary, but the roof terrace, the atmosphere and the view is amazing. Fantastic skyline view of downtown, Hudson River and Manhattan. 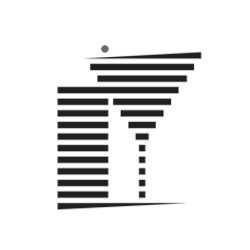 Usually it’s only the hotels guests that are allowed to use the rooftop pool, but on summer weekends they arrange pool parties here for the public. So from 3pm, be on time and join the fun. A must do if in New York. 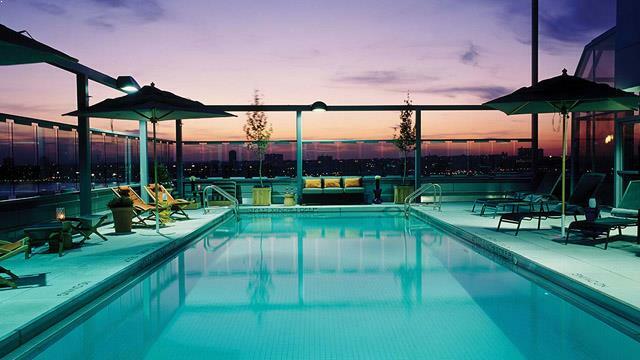 A rooftop pool New York located on top of the cool and trendy hotel Gansevoort Meatpacking. The pool is free for hotels guests, but 'outsiders' can also use it Monday - Thursday for a fee of $200. 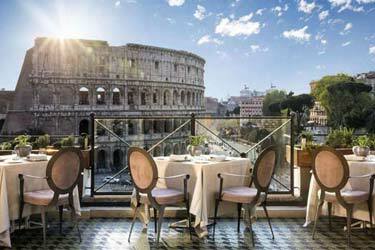 Quite expensive, but that is for a day pass including bottled water, unlimited towels and one alcoholic drink. And, most of all, the opportunity to swim with the view of Hudson River and downtown New York. So we would say: it’s definitely worth it. Perfect way to see the city and at the same time enjoy total relaxation. 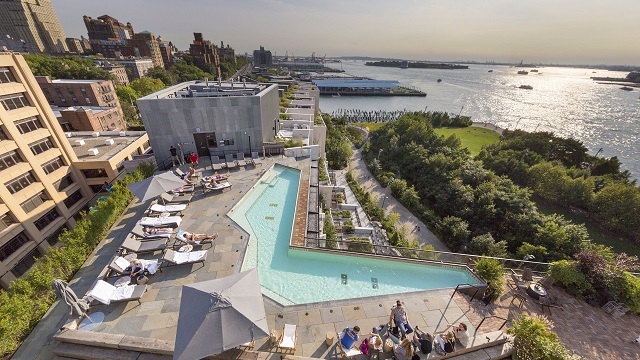 The newly opened eco-luxe hotel 1 Hotel Brooklyn Bridge is a spectacular hotel in itself, with one major highlight: the rooftop pool! 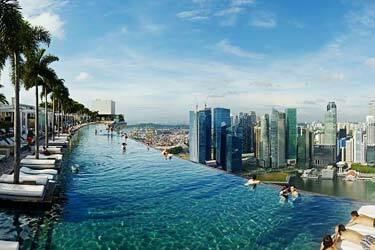 Or two major highlights: the rooftop pool and the views from the rooftop pool. Located just off the Brooklyn Bridge (on the Brooklyn side) you get an absolutely amazing view of the Manhattan skyline from here. It is almost hard to tell if you are taking a dip in the pool or in the East River. In between dips you can sip on handcrafted cocktails, but, you have to stay at the hotel to enjoy this. We really think you should. 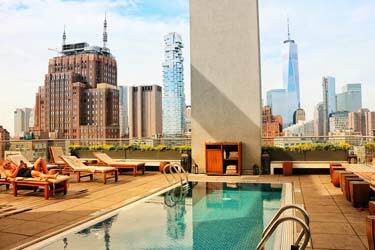 Hotel Americano’s rooftop pool is located in the Chelsea area of Manhattan, New York. If you’re not a guest at the hotel, you can buy a daily pool pass for $40 during weekdays (free from noon weekends). 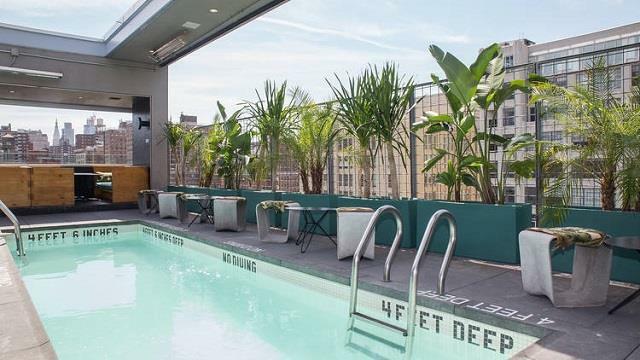 A very decent price to swim in a nice rooftop pool with the views of Hudson River and the skyline. 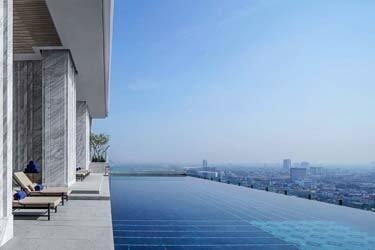 But do consider, the pool is quite small (22-foot long pool), and quite popular, so don't expect to do your daily laps. 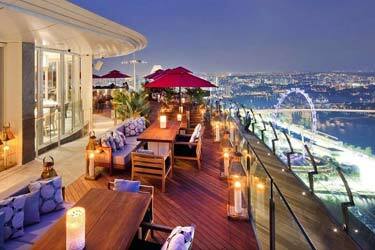 At the terrace you can also enjoy refreshing cocktails and delicious food. 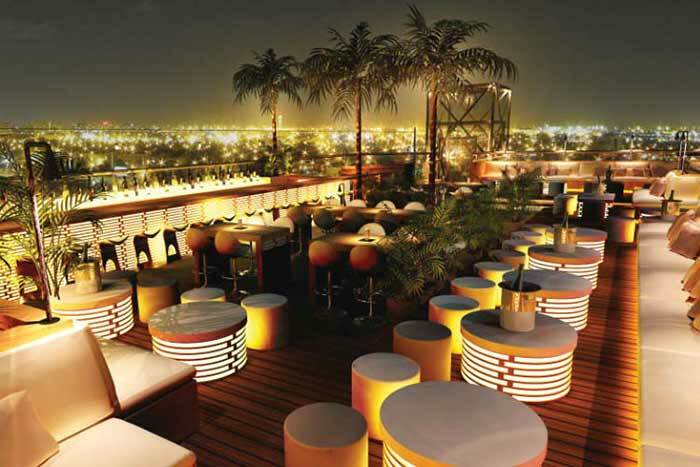 The terrace is equipped with a nice grill that serves tasty dishes to eat in your comfy sun lounger. What used to be Gansevoort Park Rooftop is now Royalton Park Avenue. 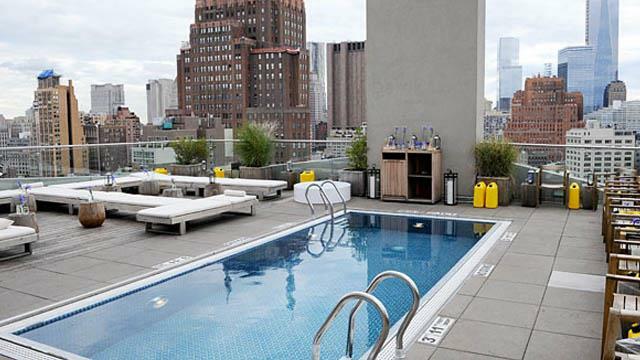 The rooftop pool is however the same, and this terrace can boost with one of the best rooftop pools in New York. 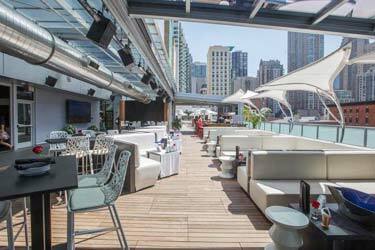 One floor above the rooftop bar you’ll find this gem. 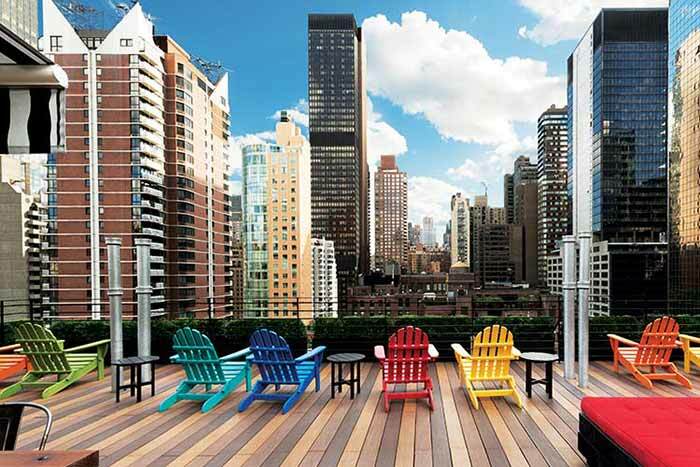 Located in the middle of Manhattan (on Park Avenue, as the name suggests) with mighty views over the skyline with Empire State Building as a cool backdrop. 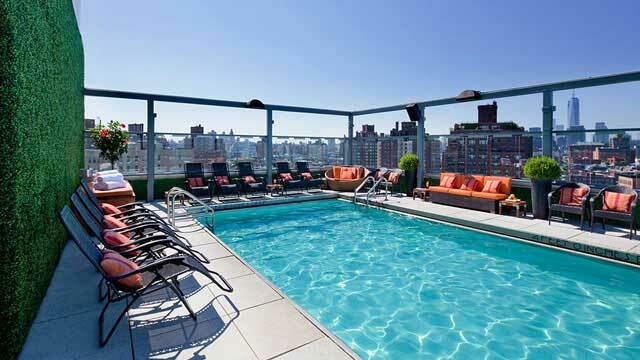 As a guest at the hotel you can enjoy this fine rooftop swimming pool with one of New York’s best locations. 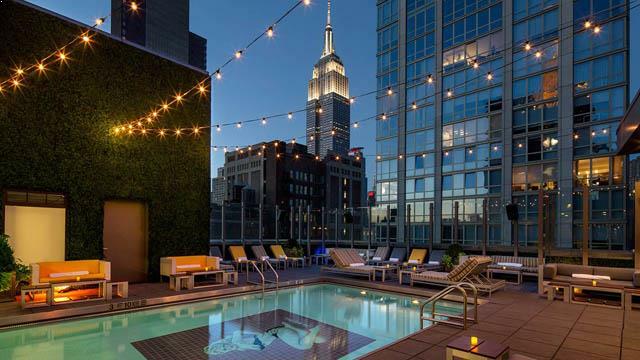 Perfect place to stay at if searching for roof pools NYC, otherwise you have to settle for poolside chillin in the rooftop bar..